There are so many companies that underestimate the power and the importance of the help desk. One of the first methods of contact customers will have with your company is through your help desk. When the customer calls the help desk, that particular employee will represent your company. If the customer feels that the help desk employee is not helpful, then the customer will think that others in your company may have a similar attitude. Many companies do not have the resources, time, or products to have a top-level help desk. Companies want to remain competitive in the industry, and the option to outsource your help desk to a qualified and competent third party can help you put your best foot forward. Internally, it can be hard for a company to find the right people to be part of the help desk team. Sometimes the help-desk employees may have the least experience because they may be new to the company. The size of your company also plays a part in the ability to have an efficient help desk. This is why so many companies choose to use software or outsource their help desk in order to gain an advantage of time and efficiency by working with a third party that specializes in help desk services. 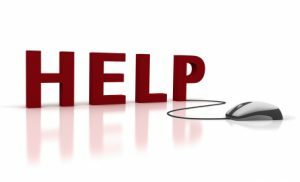 If your company is going to seek additional help for their help desk, here are some things that you should consider. Ensure that you can communicate clearly and effectively what your company requires in terms of help desk efficiency and the scope of what a help desk employee will do for a company. Understand that the help desk will be off-site from your general business practices. Compare and contrast different help desk companies, and seek out a company that offers the best technology and digital operations, and also will not break the bank. As your company grows, be ready to work with your help desk employees to establish congruency in the image of the company as a whole. Interested in learning more about help desk options? Contact us.